I don’t normally “reblog” other people’s posts, but I enjoyed this one so much that I figured I would go ahead and do it. Hopefully others here will enjoy it as well. If I had more time to write about plays, coverages, and schemes, I would do so. However, why re-create the wheel when someone else has done such a great job already. I’ve been getting some decent feedback from the pass defense images I’ve made, so I’ve decided to extend this series for now. 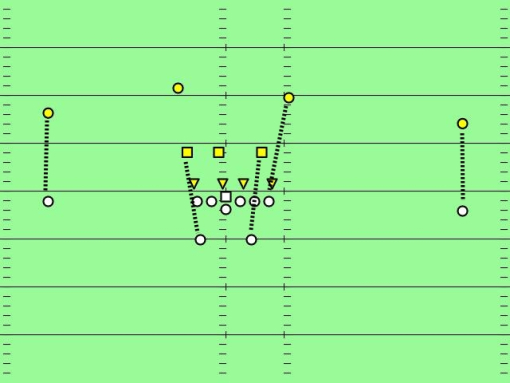 In Cover Zero, all the defensive backs have assignments, and so there is no “free” safety. 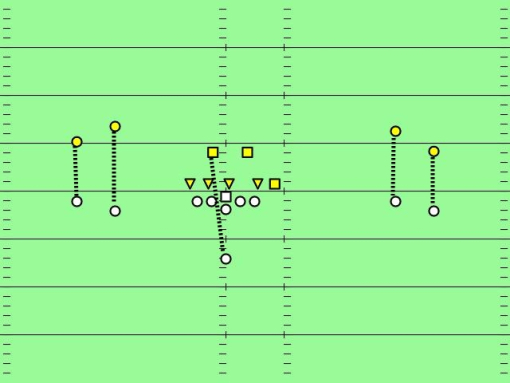 This is good for blitzes, but can be weak if your defensive backfield lacks the ability to cover for any length of time. In this image, the stippled lines represent an assigned ‘man’. Cover Zero, Tampa Under front, ace backfield. The coverage “man free” or “one free” is a defense where the free safety is a free agent, able to defend or double cover or safety blitz, as the need arises. man free, Miami 43 over front. 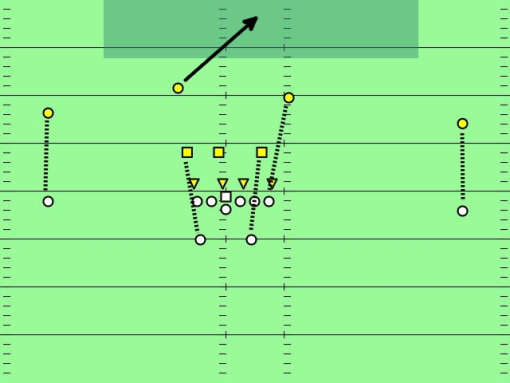 Cover 1 keeps the free safety back in a deep zone. Otherwise, coverage beneath is man to man, or perhaps a mix of man and zone. This entry was posted in Reblogged, Xs and Os by Travis Normand. Bookmark the permalink. Appreciate the repost. There is a right way and wrong way to repost and this one is clearly the right way. Glad I did it correctly!